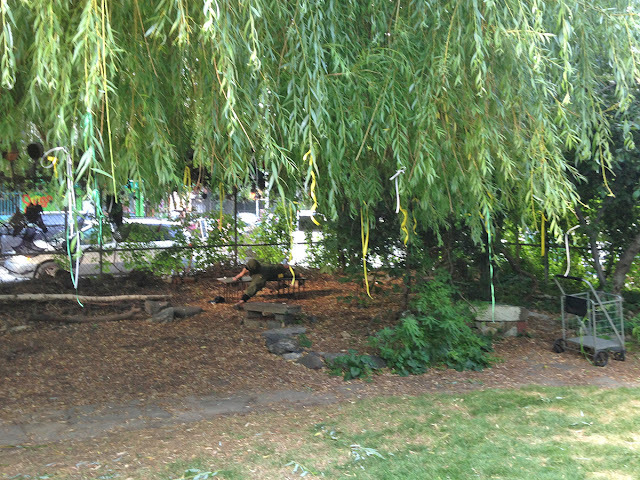 While not an occasion for communing with one's inner goddess, the imminent demise of a weeping willow tree in La Plaza Cultural community garden, on Avenue C and East 9th Street, cannot pass unnoticed at East Village Today. 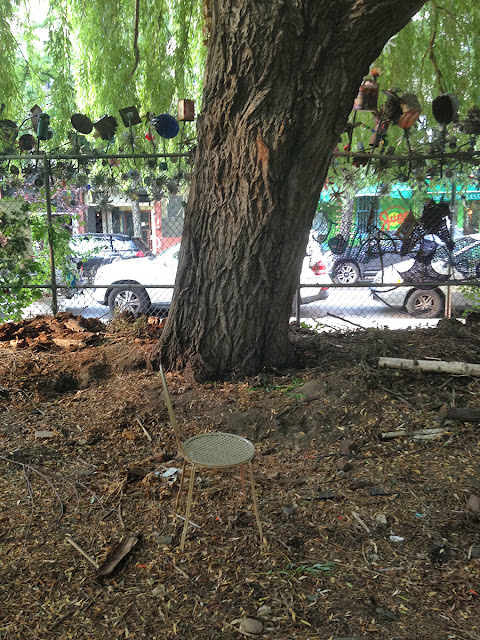 Weeping willow tree with chair. Weeping willow tree with sleeper. East Village Today will follow events here as they take place. for a tree that is to meet the wood chopper's axe, that one looks pretty darned healthy! Yeah, who knows what it looks like inside though!